This article is about the Creative Commons licenses. For the organization that produced them, see Creative Commons. Particular Creative Commons license names redirect here, such as CC BY-SA which is used by Wikipedia itself and Wikia. See Wikipedia:Text of Creative Commons Attribution-ShareAlike 3.0 Unported License. A Creative Commons (CC) license is one of several public copyright licenses that enable the free distribution of an otherwise copyrighted "work". [note 1] A CC license is used when an author wants to give other people the right to share, use, and build upon a work that he or she (that author) has created. CC provides an author flexibility (for example, he or she might choose to allow only non-commercial uses of a given work) and protects the people who use or redistribute an author's work from concerns of copyright infringement as long as they abide by the conditions that are specified in the license by which the author distributes the work. There are several types of Creative Commons licenses. The licenses differ by several combinations that condition the terms of distribution. They were initially released on December 16, 2002 by Creative Commons, a U.S. non-profit corporation founded in 2001. There have also been five versions of the suite of licenses, numbered 1.0 through 4.0. As of December 2018[update], the 4.0 license suite is the most current. In October 2014 the Open Knowledge Foundation approved the Creative Commons CC BY, CC BY-SA and CC0 licenses as conformant with the "Open Definition" for content and data. Work licensed under a Creative Commons license is governed by applicable copyright law. This allows Creative Commons licenses to be applied to all work falling under copyright, including: books, plays, movies, music, articles, photographs, blogs, and websites. While Software is also governed by copyright law and CC licenses are applicable, the Creative Commons recommends Free and open-source software software licenses instead of Creative Commons licenses. Outside the FOSS licensing use case for software there are several usage examples to utilize CC licenses to specify a "Freeware" license model; examples are The White Chamber, Mari0 or Assault Cube. Also the Free Software Foundation recommends the CC0 as the preferred method of releasing software into the public domain. There are over 35,000 works that are available in hardcopy and have a registered ISBN number. Creative Commons splits these works into two categories, one of which encompasses self-published books. However, application of a Creative Commons license may not modify the rights allowed by fair use or fair dealing or exert restrictions which violate copyright exceptions. Furthermore, Creative Commons licenses are non-exclusive and non-revocable. Any work or copies of the work obtained under a Creative Commons license may continue to be used under that license. In the case of works protected by multiple Creative Common licenses, the user may choose either. Creative commons license spectrum between public domain (top) and all rights reserved (bottom). Left side indicates the use-cases allowed, right side the license components. The dark green area indicates Free Cultural Works compatible licenses, the two green areas compatibility with the Remix culture. The last two clauses are not free content licenses, according to definitions such as DFSG or the Free Software Foundation's standards, and cannot be used in contexts that require these freedoms, such as Wikipedia. For software, Creative Commons includes three free licenses created by other institutions: the BSD License, the GNU LGPL, and the GNU GPL. For example, the Creative Commons Attribution (BY) license allows one to share and remix (create derivative works), even for commercial use, so long as attribution is given. The original non-localized Creative Commons licenses were written with the U.S. legal system in mind, therefore the wording may be incompatible with local legislation in other jurisdictions, rendering the licenses unenforceable there. To address this issue, Creative Commons asked its affiliates to translate the various licenses to reflect local laws in a process called "porting." As of July 2011, Creative Commons licenses have been ported to over 50 jurisdictions worldwide. The latest version 4.0 of the Creative Commons licenses, released on November 25, 2013, are generic licenses that are applicable to most jurisdictions and do not usually require ports. No new ports have been implemented in version 4.0 of the license. Version 4.0 discourages using ported versions and instead acts as a single global license. Include any copyright notices (if applicable). If the work itself contains any copyright notices placed there by the copyright holder, those notices must be left intact, or reproduced in a way that is reasonable to the medium in which the work is being re-published. Cite the author's name, screen name, or user ID, etc. If the work is being published on the Internet, it is nice to link that name to the person's profile page, if such a page exists. Cite the work's title or name (if applicable), if such a thing exists. If the work is being published on the Internet, it is nice to link the name or title directly to the original work. Cite the specific CC license the work is under. If the work is being published on the Internet, it is nice if the license citation links to the license on the CC website. Mention if the work is a derivative work or adaptation. In addition to the above, one needs to identify that their work is a derivative work, e.g., "This is a Finnish translation of [original work] by [author]." or "Screenplay based on [original work] by [author]." The "non-commercial" option included in some Creative Commons licenses is controversial in definition, as it is sometimes unclear what can be considered a non-commercial setting, and application, since its restrictions differ from the principles of open content promoted by other permissive licenses. In 2014 Wikimedia Deutschland published a guide to using Creative Commons licenses as wiki pages for translations and as PDF. "CC0" redirects here. It is not to be confused with CCO (disambiguation). Creative Commons Public Domain Mark. Indicates works which have already fallen into (or were given to) the public domain. Besides licenses, Creative Commons also offers through CC0 a way to release material worldwide into the public domain. CC0 is a legal tool for waiving as many rights as legally possible. Or, when not legally possible, CC0 acts as fallback as public domain equivalent license. Development of CC0 began in 2007 and was released in 2009. A major target of the license was the scientific data community. In 2010, Creative Commons announced its Public Domain Mark, a tool for labeling works already in the public domain. Together, CC0 and the Public Domain Mark replace the Public Domain Dedication and Certification, which took a U.S.-centric approach and co-mingled distinct operations. In 2011, the Free Software Foundation added CC0 to its free software licenses, and currently recommends CC0 as the preferred method of releasing software into the public domain. In February 2012 CC0 was submitted to Open Source Initiative (OSI) for their approval. However, controversy arose over its clause which excluded from the scope of the license any relevant patents held by the copyright holder. This clause was added with scientific data in mind rather than software, but some members of the OSI believed it could weaken users' defenses against software patents. As a result, Creative Commons withdrew their submission, and the license is not currently approved by the OSI. In 2013, Unsplash began using the CC0 license to distribute free stock photography. It now distributes several million photos a month and has inspired a host of similar sites, including CC0 photography companies and CC0 blogging companies. Lawrence Lessig, the founder of Creative Commons, has contributed to the site. Unsplash moved from using the CC0 licence to their own similar licence in June 2017, but with a restriction added on using the photos to make a competing service which makes it incompatible with the CC0 licence. 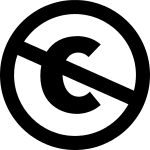 In October 2014 the Open Knowledge Foundation approved the Creative Commons CC0 as conformant with the "Open Definition" and recommend the license to dedicate content to the public domain. An example of a permitted combination of two works, one being CC BY-SA and the other being Public Domain. Rights in an adaptation can be expressed by a CC license that is compatible with the status or licensing of the original work or works on which the adaptation is based. The legal implications of large numbers of works having Creative Commons licensing are difficult to predict, and there is speculation that media creators often lack insight to be able to choose the license which best meets their intent in applying it. In early 2006, podcaster Adam Curry sued a Dutch tabloid who published photos from Curry's Flickr page without Curry's permission. The photos were licensed under the Creative Commons Non-Commercial license. While the verdict was in favor of Curry, the tabloid avoided having to pay restitution to him as long as they did not repeat the offense. Professor Bernt Hugenholtz, main creator of the Dutch CC license and director of the Institute for Information Law of the University of Amsterdam, commented, "The Dutch Court's decision is especially noteworthy because it confirms that the conditions of a Creative Commons license automatically apply to the content licensed under it, and binds users of such content even without expressly agreeing to, or having knowledge of, the conditions of the license." In 2007, Virgin Mobile Australia launched an advertising campaign promoting their cellphone text messaging service using the work of amateur photographers who uploaded their work to Flickr using a Creative Commons-BY (Attribution) license. Users licensing their images this way freed their work for use by any other entity, as long as the original creator was attributed credit, without any other compensation required. Virgin upheld this single restriction by printing a URL leading to the photographer's Flickr page on each of their ads. However, one picture, depicting 15-year-old Alison Chang at a fund-raising carwash for her church, caused some controversy when she sued Virgin Mobile. The photo was taken by Alison's church youth counselor, Justin Ho-Wee Wong, who uploaded the image to Flickr under the Creative Commons license. In 2008, the case (concerning personality rights rather than copyright as such) was thrown out of a Texas court for lack of jurisdiction. In the fall of 2006, the collecting society Sociedad General de Autores y Editores (SGAE) in Spain sued Ricardo Andrés Utrera Fernández, owner of a disco bar located in Badajoz who played CC-licensed music. SGAE argued that Fernández should pay royalties for public performance of the music between November 2002 and August 2005. The Lower Court rejected the collecting society's claims because the owner of the bar proved that the music he was using was not managed by the society. In February 2006, the Cultural Association Ladinamo (based in Madrid, and represented by Javier de la Cueva) was granted the use of copyleft music in their public activities. The sentence said: "Admitting the existence of music equipment, a joint evaluation of the evidence practiced, this court is convinced that the defendant prevents communication of works whose management is entrusted to the plaintiff [SGAE], using a repertoire of authors who have not assigned the exploitation of their rights to the SGAE, having at its disposal a database for that purpose and so it is manifested both by the legal representative of the Association and by Manuela Villa Acosta, in charge of the cultural programming of the association, which is compatible with the alternative character of the Association and its integration in the movement called 'copy left'". On June 30, 2010 GateHouse Media filed a lawsuit against That's Great News. GateHouse Media owns a number of local newspapers, including Rockford Register Star, which is based in Rockford, Illinois. That's Great News makes plaques out of newspaper articles and sells them to the people featured in the articles. GateHouse sued That's Great News for copyright infringement and breach of contract. GateHouse claimed that TGN violated the non-commercial and no-derivative works restrictions on GateHouse Creative Commons licensed work when TGN published the material on its website. The case was settled on August 17, 2010, though the settlement was not made public. The plaintiff was photographer Art Drauglis, who uploaded several pictures to the photo-sharing website Flickr using Creative Commons Attribution-ShareAlike 2.0 Generic License (CC BY-SA), including one entitled "Swain's Lock, Montgomery Co., MD.". The defendant was Kappa Map Group, a map-making company, which downloaded the image and used it in a compilation entitled "Montgomery Co. Maryland Street Atlas". Though there was nothing on the cover that indicated the origin of the picture, the text "Photo: Swain's Lock, Montgomery Co., MD Photographer: Carly Lesser & Art Drauglis, Creative Commoms [sic], CC-BY-SA-2.0" appeared at the bottom of the back cover. The validity of the CC BY-SA 2.0 as a license was not in dispute. The CC BY-SA 2.0 requires that the licensee to use nothing less restrictive than the CC BY-SA 2.0 terms. The atlas was sold commercially and not for free reuse by others. The dispute was whether Drauglis' license terms that would apply to "derivative works" applied to the entire atlas. Drauglis sued the defendants in June 2014 for copyright infringement and license breach, seeking declaratory and injunctive relief, damages, fees, and costs. Drauglis asserted, among other things, that Kappa Map Group "exceeded the scope of the License because defendant did not publish the Atlas under a license with the same or similar terms as those under which the Photograph was originally licensed." The judge dismissed the case on that count, ruling that the atlas was not a derivative work of the photograph in the sense of the license, but rather a collective work. Since the atlas was not a derivative work of the photograph, Kappa Map Group did not need to license the entire atlas under the CC BY-SA 2.0 license. The judge also determined that the work had been properly attributed. In particular, the judge determined that it was sufficient to credit the author of the photo as prominently as authors of similar authorship (such as the authors of individual maps contained in the book) and that the name "CC-BY-SA-2.0" is sufficiently precise to locate the correct license on the internet and can be considered a valid URI of the license. This incident has not been tested in court, but it highlights a potentially disturbing practice. In July 2016, German computer magazine LinuxUser reports that a German blogger Christoph Langner used two CC-BY licensed photographs from Berlin photographer Dennis Skley on his private blog Linuxundich.de. Langner duly mentioned the author and the license and added a link to the original. Langner was later contacted by the Verband zum Schutz geistigen Eigentums im Internet (VGSE) (Association for the Protection of Intellectual Property in the Internet) with a demand for €2300 for failing to provide the full name of the work, the full name of the author, the license text, and a source link, as is apparently required by the fine print in the license. Of this sum, €40 goes to the photographer, and the remainder is retained by VGSE. Creative Commons maintains a content directory wiki of organizations and projects using Creative Commons licenses. On its website CC also provides case studies of projects using CC licenses across the world. CC licensed content can also be accessed through a number of content directories and search engines (see CC licensed content directories). Developing Nations License: a license which only applies to developing countries deemed to be "non-high-income economies" by the World Bank. Full copyright restrictions apply to people in other countries. ^ A "work" is any creative material made by a person. A painting, a graphic, a book, a song/ the lyrics to a song, or a photograph of almost anything are all examples of "works". ^ Shergill, Sanjeet (May 6, 2017). "The teacher's guide to Creative Commons licenses". Open Education Europa. Retrieved March 15, 2018. ^ "What are Creative Commons licenses?". Wageningen University & Research. Retrieved March 15, 2018. ^ "Creative Commons licenses". University of Michigan Library. Retrieved March 15, 2018. ^ "Creative Commons licenses" (PDF). University of Glasgow. Retrieved March 15, 2018. ^ "The Creative Commons licenses". UNESCO. Retrieved March 15, 2018. ^ "License Versions - Creative Commons". wiki.creativecommons.org. Archived from the original on June 30, 2017. Retrieved July 4, 2017. ^ "Creative Commons Legal Code". Creative Commons. January 9, 2008. Archived from the original on February 11, 2010. Retrieved February 22, 2010. ^ "Creative Commons FAQ: Can I use a Creative Commons license for software?". Wiki.creativecommons.org. July 29, 2013. Archived from the original on November 27, 2010. Retrieved September 20, 2013. ^ a b "Using CC0 for public domain software". Creative Commons. April 15, 2011. Archived from the original on May 14, 2011. Retrieved May 10, 2011. ^ a b "Various Licenses and Comments about Them". GNU Project. Archived from the original on July 24, 2010. Retrieved April 4, 2015. ^ "Books - Creative Commons". wiki.creativecommons.org. Archived from the original on April 12, 2016. Retrieved April 1, 2016. ^ "Do Creative Commons licenses affect exceptions and limitations to copyright, such as fair dealing and fair use?". Frequently Asked Questions - Creative Commons. Archived from the original on August 8, 2015. Retrieved July 26, 2015. ^ "What if I change my mind about using a CC license?". Frequently Asked Questions - Creative Commons. Archived from the original on August 8, 2015. Retrieved July 26, 2015. ^ "What happens if the author decides to revoke the CC license to material I am using?". Frequently Asked Questions - Creative Commons. Archived from the original on August 8, 2015. Retrieved July 26, 2015. ^ "How do CC licenses operate?". Frequently Asked Questions - Creative Commons. Archived from the original on August 8, 2015. Retrieved July 26, 2015. ^ "Baseline Rights". Creative Commons. June 12, 2008. Archived from the original on February 8, 2010. Retrieved February 22, 2010. ^ "What are Creative Commons licenses?". Frequently Asked Questions - Creative Commons. Archived from the original on August 8, 2015. Retrieved July 26, 2015. ^ "Creative Commons GNU LGPL". Archived from the original on June 22, 2009. Retrieved July 20, 2009. ^ a b "Retired Legal Tools". Creative Commons. Archived from the original on May 3, 2016. Retrieved May 31, 2012. ^ a b "Announcing (and explaining) our new 2.0 licenses". Creativecommons.org. May 25, 2004. Archived from the original on September 21, 2013. Retrieved September 20, 2013. ^ a b "About The Licenses - Creative Commons". Creative Commons. Archived from the original on July 26, 2015. Retrieved July 26, 2015. ^ a b "CC0". Creative Commons. Archived from the original on February 26, 2010. Retrieved February 22, 2010. ^ "Creative Commons — Attribution 3.0 United States". Creative Commons. November 16, 2009. Archived from the original on February 24, 2010. Retrieved February 22, 2010. ^ Murray, Laura (2014). Putting intellectual property in its place: rights discourses, creative labor, and the everyday. Oxford: Oxford University Press. p. 25. ISBN 0-19-933626-1. ^ "Worldwide". Creative Commons. Archived from the original on October 15, 2008. ^ Peters, Diane (November 25, 2013). "CC's Next Generation Licenses — Welcome Version 4.0!". Creative Commons. Archived from the original on November 26, 2013. Retrieved November 26, 2013. ^ "What's new in 4.0?". Creative Commons. 2013. Archived from the original on November 29, 2013. Retrieved November 26, 2013. ^ "CC 4.0, an end to porting Creative Commons licences?". TechnoLlama. September 25, 2011. Archived from the original on September 2, 2013. Retrieved August 11, 2013. ^ Doug Whitfield (August 5, 2013). "Music Manumit Lawcast with Jessica Coates of Creative Commons". YouTube. Archived from the original on August 14, 2013. Retrieved August 11, 2013. ^ "CC Affiliate Network". Creative Commons. Archived from the original on July 9, 2011. Retrieved July 8, 2011. ^ "Frequently Asked Questions: What if CC licenses have not been ported to my jurisdiction?". Creative Commons. Archived from the original on November 27, 2013. Retrieved November 26, 2013. ^ "Frequently Frequently Asked Questions". Creative Commons. February 2, 2010. Archived from the original on February 26, 2010. Retrieved February 22, 2010. ^ "Defining Noncommercial report published". Creativecommons.org. Archived from the original on September 21, 2013. Retrieved September 20, 2013. ^ "The Case for Free Use: Reasons Not to Use a Creative Commons -NC License". Freedomdefined.org. August 26, 2013. Archived from the original on June 25, 2012. Retrieved September 20, 2013. ^ Till Kreutzer (2014). Open Content – A Practical Guide to Using Creative Commons Licenses (PDF). Wikimedia Deutschland e.a. ISBN 978-3-940785-57-2. Archived (PDF) from the original on April 4, 2015. Retrieved March 23, 2015. ^ "Downloads". Creative Commons. December 16, 2015. Archived from the original on December 25, 2015. Retrieved December 24, 2015. ^ a b Dr. Till Kreutzer. "Validity of the Creative Commons Zero 1.0 Universal Public Domain Dedication and its usability for bibliographic metadata from the perspective of German Copyright Law" (PDF). Retrieved July 4, 2017. ^ "Creative Commons Launches CC0 and CC+ Programs" (Press release). Creative Commons. December 17, 2007. Archived from the original on February 23, 2010. Retrieved February 22, 2010. ^ Baker, Gavin (January 16, 2009). "Report from CC board meeting". Open Access News. Archived from the original on September 19, 2010. Retrieved February 22, 2010. ^ "Expanding the Public Domain: Part Zero". Creativecommons.org. Archived from the original on September 21, 2013. Retrieved September 20, 2013. ^ a b Christopher Allan Webber. "CC withdrawl of CC0 from OSI process". In the Open Source Initiative Licence review mailing list. Archived from the original on September 6, 2015. Retrieved February 24, 2012. ^ "Marking and Tagging the Public Domain: An Invitation to Comment". Creativecommons.org. August 10, 2010. Archived from the original on September 21, 2013. Retrieved September 20, 2013. ^ "Copyright-Only Dedication (based on United States law) or Public Domain Certification". Creative Commons. August 20, 2009. Archived from the original on February 23, 2010. Retrieved February 22, 2010. ^ Carl Boettiger. "OSI recognition for Creative Commons Zero License?". In the Open Source Initiative Licence review mailing list. opensource.org. Archived from the original on September 26, 2013. Retrieved February 1, 2012. ^ The Open Source Initiative FAQ. "What about the Creative Commons "CC0" ("CC Zero") public domain dedication? Is that Open Source?". opensource.org. Archived from the original on May 19, 2013. Retrieved May 25, 2013. ^ "Unsplash is a site full of free images for your next splash page". The Next Web. Archived from the original on November 17, 2015. Retrieved November 13, 2015. ^ "License | Unsplash". unsplash.com. Archived from the original on November 17, 2015. Retrieved November 13, 2015. ^ "Why Building Something Useful For Others Is The Best Marketing There Is". Fast Company. Archived from the original on November 14, 2015. Retrieved November 13, 2015. ^ "Blogstock is building the Shutterstock or Unsplash of written content - Startup Daily". Startup Daily. Archived from the original on November 12, 2015. Retrieved November 13, 2015. ^ "Lawrence Lessig | Unsplash Book". book.unsplash.com. Archived from the original on November 17, 2015. Retrieved November 13, 2015. ^ "Community update: Unsplash branded license and ToS changes". Archived from the original on January 7, 2018. Retrieved January 7, 2018. ^ "Frequently Asked Questions". CC Wiki. Archived from the original on March 25, 2014. Retrieved March 25, 2014. ^ "Frequently Asked Questions". Creative Commons. July 14, 2016. Archived from the original on November 27, 2010. Retrieved August 1, 2016. ^ Creative Commons licenses without a non-commercial or no-derivatives requirement, including public domain/CC0, are all cross-compatible. Non-commercial licenses are compatible with each other and with less restrictive licenses, except for Attribution-ShareAlike. No-derivatives licenses are not compatible with any license, including themselves. ^ Katz, Zachary (2005). "Pitfalls of Open Licensing: An Analysis of Creative Commons Licensing". IDEA: The Intellectual Property Law Review. 46 (3): 391. ^ "Creative Commons Case Law". Archived from the original on September 1, 2011. Retrieved August 31, 2011. ^ "Creative Commons license upheld by court". News.cnet.com. Archived from the original on October 25, 2012. Retrieved December 24, 2012. ^ Digital Copyright and the Consumer Revolution: Hands Off My Ipod - Matthew Rimmer - Google Böcker. Books.google.se. Archived from the original on April 14, 2016. Retrieved December 24, 2012. ^ "Creative Commons License Upheld by Dutch Court". Groklaw. March 16, 2006. Retrieved September 2, 2006. ^ "Creative Commons Licenses Enforced in Dutch Court". Archived from the original on September 6, 2011. Retrieved August 31, 2011. ^ a b Cohen, Noam. "Use My Photo? Not Without Permission". New York Times. Archived from the original on June 15, 2011. Retrieved September 25, 2007. One moment, Alison Chang, a 15-year-old student from Dallas, is cheerfully goofing around at a local church-sponsored car wash, posing with a friend for a photo. Weeks later, that photo is posted online and catches the eye of an ad agency in Australia, and the altered image of Alison appears on a billboard in Adelaide as part of a Virgin Mobile advertising campaign. ^ Evan Brown (January 22, 2009). "No personal jurisdiction over Australian defendant in Flickr right of publicity case". Internet Cases, a blog about law and technology. Archived from the original on July 13, 2011. Retrieved September 25, 2010. ^ "Lawsuit Against Virgin Mobile and Creative Commons – FAQ". Archived from the original on September 7, 2011. Retrieved August 31, 2011. ^ Mia Garlick (March 23, 2006). "Spanish Court Recognizes CC-Music". Creative Commons. Archived from the original on August 9, 2010. Retrieved September 25, 2010. ^ "Sentencia nº 12/2006 Juzgado de lo Mercantil nº 5 de Madrid | Derecho de Internet" (in Spanish). Derecho-internet.org. Archived from the original on November 26, 2015. Retrieved December 24, 2015. ^ a b Evan Brown (July 2, 2010). "New Copyright Lawsuit Involves Creative Commons". Internet Cases: A blog about law and technology. Archived from the original on June 21, 2012. Retrieved April 20, 2012. ^ CMLP Staff (August 5, 2010). "GateHouse Media v. That's Great News". Citizen Media Law Project. Archived from the original on May 2, 2012. Retrieved April 20, 2012. ^ "Memorandum Opinion" (PDF). United States District Court for the District of Columbia. August 18, 2015. Archived (PDF) from the original on September 21, 2016. Retrieved August 29, 2016. ^ Guadamuz, Andres. "US Court interprets copyleft clause in Creative Commons licenses". TechnoLlama. Archived from the original on December 22, 2015. Retrieved December 10, 2015. ^ Michael W. Carroll. "Carrollogos: U.S. Court Correctly Interprets Creative Commons Licenses". Archived from the original on October 2, 2017. Retrieved October 2, 2017. ^ Luther, Jörg (July 2016). "Kleingedrucktes — Editorial" [Fine print — Editorial]. LinuxUser (in German) (07/2016). ISSN 1615-4444. Archived from the original on September 15, 2016. Retrieved September 9, 2016. ^ See also: "Abmahnung des Verbandes zum Schutz geistigen Eigentums im Internet (VSGE)" [Notice from the Association for the Protection of Intellectual Property in the Internet (VSGE)] (in German). Hannover, Germany: Feil Rechtsanwaltsgesellschaft. January 8, 2014. Archived from the original on September 14, 2016. Retrieved September 9, 2016. ^ "Content Directories". creativecommons.org. Archived from the original on April 30, 2009. Retrieved April 24, 2009. ^ "Case Studies". Creative Commons. Archived from the original on December 24, 2011. Retrieved December 20, 2011. ^ Lessig, Lawrence (June 4, 2007). "Retiring standalone DevNations and one Sampling license". Creative Commons. Archived from the original on July 7, 2007. Retrieved July 5, 2007. ^ "Developing Nations License". Creative Commons. Archived from the original on April 12, 2012. Retrieved April 9, 2012. ^ "Sampling 1.0". Creative Commons. Archived from the original on March 16, 2012. Retrieved April 9, 2012. ^ "Sampling Plus 1.0". Creative Commons. November 13, 2009. Archived from the original on April 11, 2012. Retrieved April 9, 2012. ^ "NonCommercial Sampling Plus 1.0". Creative Commons. November 13, 2009. Archived from the original on March 25, 2012. Retrieved April 9, 2012.